Once in Cebu, there are two ways that you can reach Bantayan, Either by land or by sea. If you choose to go by land, you can either take a bus from the North Terminal in Cebu City to the Port of Hagnaya in San. Remegio. You can also rent a taxi to take you there or rent a car and drive their yourself. Be prepared for the trip, it would take around 3 hours. Once in Hagnaya, take the ferry to Sta. Fe. If you choose to go by sea, you can take a ferry at the Pier 1 in Cebu City. 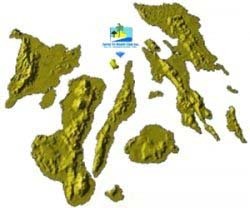 The ferry leaves Cebu at 9:00 p.m. and would reach Sta. Fe at 6:00 a.m.